Why isn't my child's Snapchat activity showing? 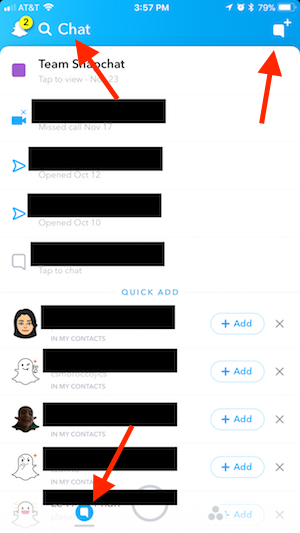 This is what the Snapchat private message screen (chat) looks like. Bark's watchdog engine uses advanced algorithms to look for a variety of potential issues, such as cyberbullying, sexting, drug-related content, and signs of depression. If a potential issue is detected, a text/email alert is sent to the you to review the issue, along with recommended actions on how to handle the situation. Bark is able to scan public and private Snapchat stories. We can also monitor Snapchat private messages (chat) on Android and Amazon devices. But because Snapchat doesn't allow external access to private messages, we cannot monitor those on iOS devices (and neither can any other monitoring service!). We're continually working to be able to monitor Snapchat on iOS. Hopefully we can take away some of the burden by monitoring your child's texts, other social media, and email. or message their support team here ("Report a safety concern" > "Someone else's Snapchat account" > "YES" > "I'm worried about this user's safety" > "YES" > fill out information > SEND). If you have any questions about how Bark monitors Snapchat or anything else, don't hesitate to reach out to us!